Paris deserves its reputation as the most romantic city in the world. Its centre is small and ideal for visiting on foot, with every turn revealing a famous landmark, a cosy café, a smart boutique or a busy boulevard. There are hotels to suit every visitor, from the palatial to the contemporary, the trendsetting to the classical. Paris is also the home of great food and boasts a plethora of restaurants from traditional bistros to smart, trendy restaurants and Michelin-starred establishments. Combine this with first class hospitality at one of the most elegant horse racing festivals in Europe , then the weekend is complete! This elegant hotel is centrally located in an architecturally protected neighbourhood on the Place de la Republique, near Le Marais and the Grands Boulevards in the heart of historic and artistic Paris. 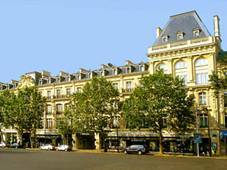 Attractions within easy reach of the hotel include Notre Dame, Eiffel Tower, Champs Elysees, Louvre Museum and Opera. 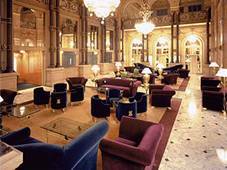 In addition the hotel is only 5 minutes from the Gare du Nord. All the 318 bedrooms are air conditioned and are superbly equipped equipped. A feature of the hotel is the impressive 1500-square-metre Napoléon III-style courtyard. Other facilities in this listed building dating from 1862 include a restaurant, coffee shop and fitness centre. This grand 19th century masterpiece of a hotel offers a unique blend of contemporary design and timeless elegance with a historic lobby which is a listed monument. Located in the heart of Paris with easy access to Boulevard Haussmann, Le Printemps and Galleries Lafayette department stores. Other nearby attractions include the Garnier Opera House, the Madeleine Church, the Place de la Concorde and the Louvre Museum. All 266 bedrooms are spacious and stylishly decorated with air conditioning, double glazing, television, telephone, safe and minibar. Enjoy cocktails in the Golden Black Bar and modern cuisine in the Café Terminus. The hotel is minutes to dining, shopping and entertainment venues. Located near to the Bastille, the L'Encrier restaurant offers a designer interior along with good and constantly changing dishes of freshly cooked food. Exposed brick walls, stripped wooden floors and an open kitchen set the scene for a relaxed, loosen your tie, end of the week dinner and drink! Jacques Lacipière opened this pleasant, light-filled bistro on a quiet side street in the shadow of the Eiffel Tower in the early 1990s. The Au Bon Accueil has since become one of the capital's most reliable addresses for carefully prepared French bourgeois cooking. The dining room is smart, but the atmosphere remains relaxed and calm and the courteous service makes everyone feel welcome. The 'Arc' is Europe's richest race bringing together the classic winners from England, Ireland, France, Germany and Italy in one race. When combined with the beauty of Paris, the 'Arc' makes a weekend away in autumnal Paris a very attractive proposition. The Longchamp Racecourse is set in 57 hectares of beautiful Paris land between the Seine and the Bois de Boulogne; there are 4 courses, and the race track itself is 2,750 metres. There are 46 different starting points from 1,000 - 4,000 metres. 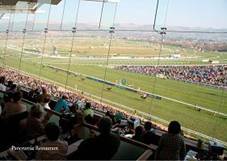 The Panoramique Restaurant is located within the main grandstand and gives wonderful views across the racecourse and the surrounding countryside. It is really the place to be  our tables seat 4 or 6 guests and are all located along the front row providing the best views. Upon arrival, there will be a champagne reception and a complimentary bar is available throughout the day. A fine four course luncheon will be served and betting facilities are easily available within the facility. This over-the-top mansion near Pigalle was once home to Georges Bizet, who composed his masterpiece Carmen here, in between entertaining friends such as Marcel Proust and Charles Gounod. Today, this Café Carmen has salons with high ceilings and classic French cuisine.